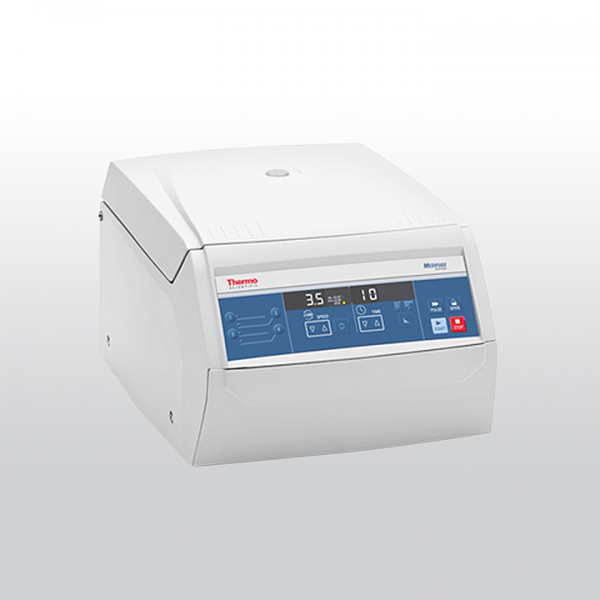 Product information "Medifuge centrifuge package"
Perform both routine clinical and life science separations with the Thermo Scientific™ Medifuge™ small benchtop centrifuge. It fits in with its compact design and stands out with the unique Thermo Scientific™ DualSpin™ rotor featuring a 2-in-1 hybrid design. Easily change between fixed angle and swinging buckets using the same rotor. Four customizable programs allow you to quickly run routine protocols. Three selectable deceleration profiles, including brake-off option, are designed to optimize separation. Related links to "Medifuge centrifuge package"